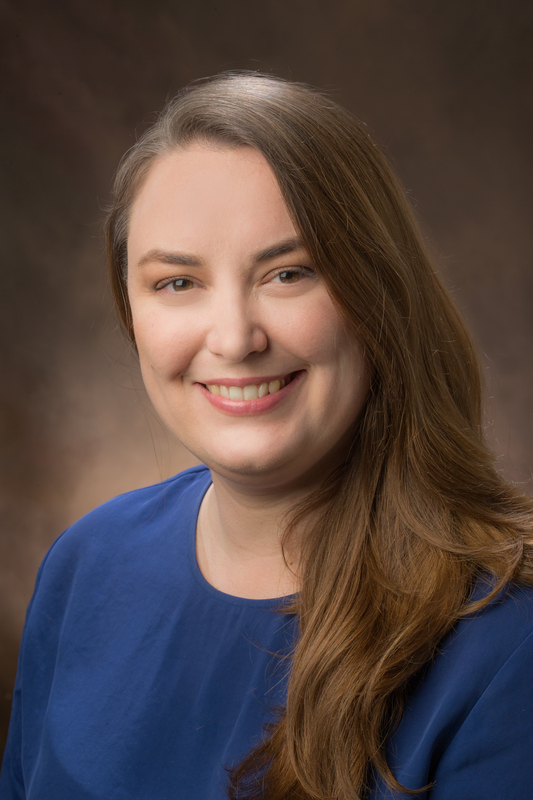 The Miami University Libraries are pleased to welcome Abi Morgan to the Advise & Instruct Department, where she began as social sciences librarian on July 2. Morgan provides library services including consultation, instruction and collection development for faculty and students in social sciences departments across the College of Education, Health, and Society; the Farmer School of Business; and the College of Arts and Sciences. “We’re excited to be able to position the library to provide additional subject specialist capacity for the Farmer School of Business as well as the Department of Teacher Education,” said Kevin Messner, head of Advise & Instruct. Morgan holds a bachelor’s in history and anthropology from Ohio University, a master’s in library and information science from the University of Maryland, College Park and a master’s in adolescent and young adult education from Ohio University. She most recently served as senior library technician at Miami’s Wertz Art & Architecture Library since July 2017. Prior to joining Miami, Morgan worked as librarian and project manager with the Office of the Comptroller of the Currency and served as interim Upper School library assistant at Sidwell Friends School in Washington, D.C. She also taught World Studies and U.S. History as a long-term substitute at Miller High School. “Abi has a terrific breadth of experience in the applied social sciences between her classroom experience in middle and high school teaching and her prior role as a federal government librarian. It is a bonus that she starts her new role already acquainted with Miami and the library system,” said Messner. “This role is a wonderful opportunity to utilize all my previous work experiences and enhance my connections with the great library team at Miami. I’m excited to spend more time on instruction and to collaborate with students, faculty and staff on their research,” said Morgan. Morgan works out of B.E.S.T. Library in 219E Laws Hall and can be reached at morgan55@miamioh.edu or 529-2789. From the threat of nuclear war to Korea and Vietnam to unrest on campus, the Cold War years marked a notable and turbulent time in Miami University history. A new exhibit in the Walter Havighurst Special Collections & University Archives, located in King Library 321, explores the various chapters and sides of this era through photos, letters, memorabilia and even a children’s game. In this three-minute video, Elizabeth Maurer, library technician in the Havighurst Special Collections & University Archives, introduces “We Were There: Miami in the Cold War” and talks about a few notable items and their place in Miami history. “We Were There: Miami in the Cold War” is available for viewing – free of charge – in King Library room 321. The Havighurst Special Collections and University Archives are open 8 a.m. – 4 p.m., Monday-Friday. With a renewed focus on connecting with new students and bolstering support of other key student constituencies, the Miami University Libraries are excited to announce the hiring of two new student success librarians within the Advise & Instruct Department. Laura Birkenhauer, a 2010 Miami alumna who began with the University Libraries in 2011, assumes the role of student success librarian for campus engagement. Nate Floyd, an academic resident librarian at Miami since 2017 continues his Miami Libraries’ tenure as student success librarian for foundational learning. Both began their new roles on June 1. As student success librarian for campus engagement, Birkenhauer supports students via classroom instruction, workshops, events and other initiatives. She will collaborate closely with campus partners to enhance student engagement, success and academic well-being. The role seeks to enhance outreach to key campus constituencies, including first-generation students, international students, veterans and others. Birkenhauer holds a bachelor’s from Miami and an M.L.I.S. from Kent State University. She joined the University Libraries as a senior library technician in 2011 and has served as academic resident librarian since October 2016. Much of her residency was dedicated to providing instruction, developing innovative programming and fostering campus partnerships to better serve first-year and at-risk student populations. Birkenhauer works out of 214 King Library and can be reached at crosbylm@MiamiOH.edu or 529-4148. As student success librarian for foundational learning, Floyd supports the student transition from high school to college with a focus on integrating research skills and information literacy into the first-year student curriculum. He will also build upon programming and services that orient students to the University Libraries and engage them as active users of library resources. Floyd holds bachelor’s and master’s degrees from Marshall University, an M.L.S. from Indiana University, and is nearing completion of a doctorate in mass communication from IU. For the past year, he has served the Miami Libraries by developing instructional sessions in information and media literacy. Floyd works out of 215 King Library and can be reached at floydns@MiamiOH.edu or 529-4187. On Tuesday, June 5, B.E.S.T. Library, Amos Music Library, and Wertz Art and Architecture Library will close for the day while staff attend training. King Library will remain open from 7:15 a.m. - 9 p.m., and online chat will be unavailable. King Library open 7:15 a.m. - 9 p.m.
As part of Alumni Weekend, Miami University Libraries are hosting a series of events and activities including Then & Now Tours, special collections and university archives, children's activities and a Libraries' alumni reception. Thursday - Saturday, 1 p.m. - 4 p.m.
Thursday & Friday, 8 a.m. - 5 p.m. Whether you are a retired Libraries employee, former student worker or an alum who once called the Libraries a second home, you are welcome to drop in during this fun, informal and free reception to connect with friends both old and new. Have you registered as a former Libraries student worker? Full descriptions can be found in the Alumni Weekend guidebook and app. 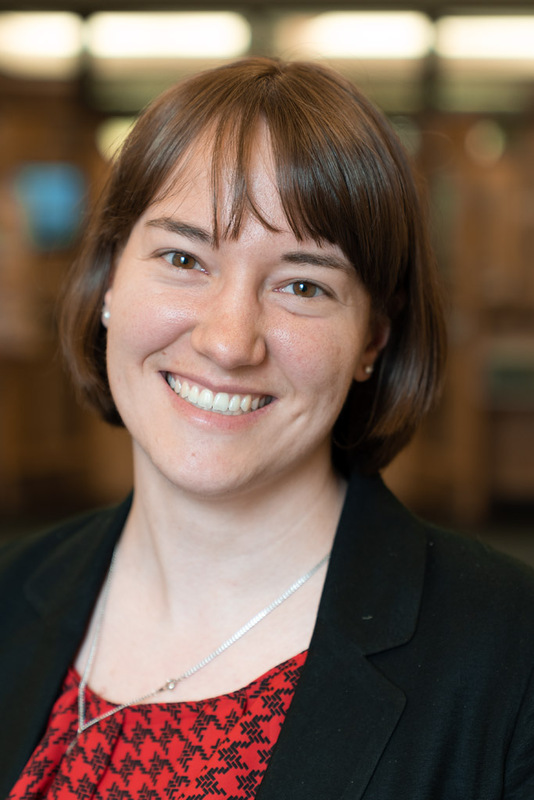 Thursday & Friday, 7:15 a.m. - 5 p.m.
With a rich background in information science, exhibit curation and collection digitization, Alia Levar Wegner joined the Miami University Libraries as digital collections librarian on May 14. In her role, Wegner will work as part of the Walter Havighurst Special Collections and University Archives team to manage the processing, digitization, organization and access of special collections and university archives materials. Her role is an integral piece of a larger University Libraries’ effort to digitally preserve the culture and history of the university and the Libraries’ collections. Wegner holds a bachelor’s degree from Clemson University, a master’s in book history and material culture from the University of Edinburgh and a master’s of science in information from Florida State University. She also has completed coursework in digital humanities from the University of North Carolina, Chapel Hill. Professionally, Wegner spent nearly three years as a rare book collection assistant in UNC’s Louis Round Wilson Special Collections Library. More recently, she was a full-time collections specialist in the University of South Florida’s special collections and metadata departments. Other experiences include time working in a law library, the Florida Holocaust Museum, and the American Dance Festival Archives. Wegner’s work in the digital sphere includes two years as an editorial assistant with the William Blake Archive, where she assisted with the textual transcription, illustration markup and color correction of digital copies of Blake’s illuminated books. She is currently exploring data mining applications of digitized special collections and continues to develop the longstanding project, Augmenting Special Collections, which applies augmented reality technology to special collections materials. The Walter Havighurst Special Collections are located on King Library’s third floor. Wegner can be reached at 513-529- 0462 or wegnera3@miamioh.edu. To support students preparing for final exams, the Libraries will extend their operating hours Saturday, May 12 through Friday, May 18. 24 hours 24 hours 24 hours Closes at 5 p.m.
9 a.m. - 10 p.m. 9 a.m. - 2 a.m. 7:30 a.m. - 2 a.m. 7:30 a.m. - 5 p.m. Noon - 6 p.m. Noon - 11 p.m. 8 a.m. - 11 p.m. 8 a.m. - 5 p.m.
1 - 5 p.m. 1 - 11 p.m. 8 a.m. - 11 p.m. 8 a.m. - 5 p.m.
Rachel Makarowski joined the Miami University Libraries on May 1 as special collections librarian within the Walter Havighurst Special Collections and University Archives. In the position, Makarowski will fill a variety of roles, including classroom instruction, curation of exhibits, cataloging and processing materials, and hosting and supporting library events. Makarowski holds a bachelor’s degree from the University of Virginia and a master’s degree in library science from the University of Indiana, Bloomington. She discovered her passion for rare books while taking an undergraduate course on medieval manuscripts and worked at Rare Book School (Charlottesville, Virginia) in a variety of capacities from 2014-2017. Makarowski, who is language proficient in modern French, Latin, Old French and Old Irish, also completed three courses at Rare Book School. 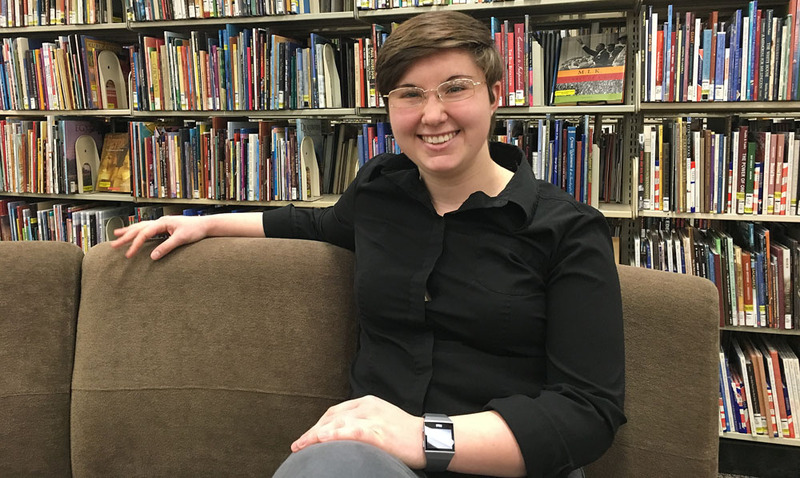 While completing her graduate work, Makarowski gained considerable work experience at IU’s Lilly Library, serving as a reference attendant and receptionist, assistant to the head of public services and reference librarian, and, most recently, as education and outreach intern. Her internship included researching and instructing class sessions using primary source materials. The Walter Havighurst Special Collections are located on King Library’s third floor. Makarowski can be reached at 513-529-4140 or makarorm@MiamiOH.edu. 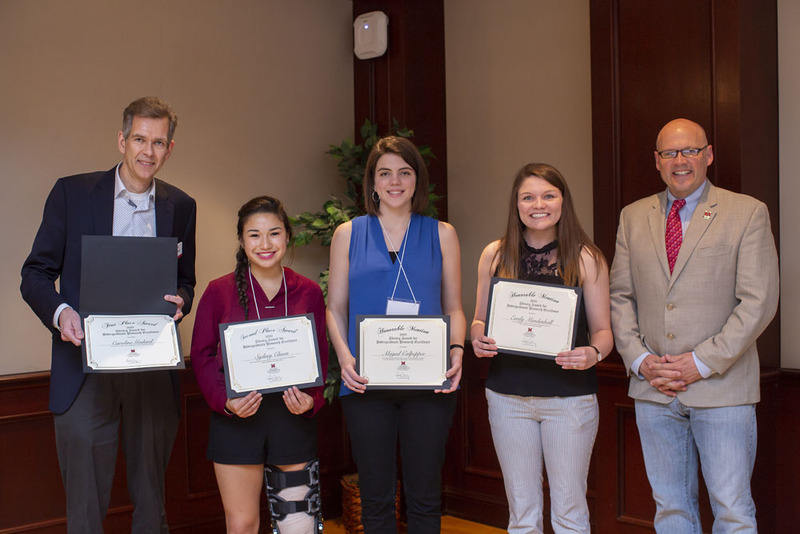 The four student winners of the Miami University Libraries’ Award for Undergraduate Research Excellence (LAURE) were announced Wednesday, April 25 during the Undergraduate Research Forum. The annual award, now in its third year, honors Miami undergraduates who demonstrate excellence in library research conducted in support of a student project. Lindsay Miller, LAURE committee member and assistant head of the Libraries’ Advise & Instruct department, presented the first place, second place, and two honorable mention winners at the Undergraduate Research Forum Luncheon. Applicants submitted an essay detailing their research strategies and use of library tools, resources and services, bibliography, and project files. Submissions were judged by an eight-person panel of faculty, librarians, staff and one student on the researcher’s use and evaluation of information sources, use of the library, demonstration of an effective research process, and use of both digital and analog research tools. The award-winning projects will be uploaded to Miami University Scholarly Commons and become part of the Undergraduate Sponsored Research and Scholarship Collection. In addition to their recognition, the LAURE’s first place winner receives $1000, its second place winner receives $500, and its two honorable mentions each receive $100. Senior Julia Shepherd is the recipient of the 2018 Miami University Libraries Outstanding Student Employee of the Year. Shepherd, a linguistics and Spanish major from Mason, Ohio, was one of 47 senior or graduate student employees recognized at the Libraries’ annual Student Recognition Dinner Sunday night. During her four years in King Library, she worked at the circulation desk, Center for Information Management, Center for Digital Scholarship and Instructional Materials Center. She was presented the honor by Jerome Conley, dean and university librarian; Kris Abney, manager of access and circulation; and Bryan Partner, senior library technician. Her nomination emphasized her passion for library work and her always positive attitude. The Outstanding Student Employee of the Year award and Libraries Student Recognition Dinner began two years ago as a way of thanking and recognizing the University Libraries’ senior student employees. Across four campus locations, the University Libraries currently employ more than 100 student workers. Other featured speakers included Phyllis Callahan, provost and executive vice president for academic affairs, and Bradley Mascho ’02 M.A. ’03 a former Libraries student worker who is chief AI officer for NCI.